Apple and Cherry Trees, heavily laden with blossom or fruit, were once a familiar sight in the Tamar Valley. Each parish, and indeed individual orchards, cultivated their own apple varieties with distinct flavours, names and colours. Sadly, after years of neglect and competition from commercial fruit production at home and abroad, the market gardening industry of the Tamar Valley fell into decline – along with the once flourishing orchards. Today, the AONB and the National Trust work together with local enthusiasts to preserve and restore some of the unique varieties in existing and new orchards. Mary Martin and James Evans have championed the restoration of orchards and, with their dedicated research, have helped create a new orchard based at The National Trust’s Cotehele Estate. 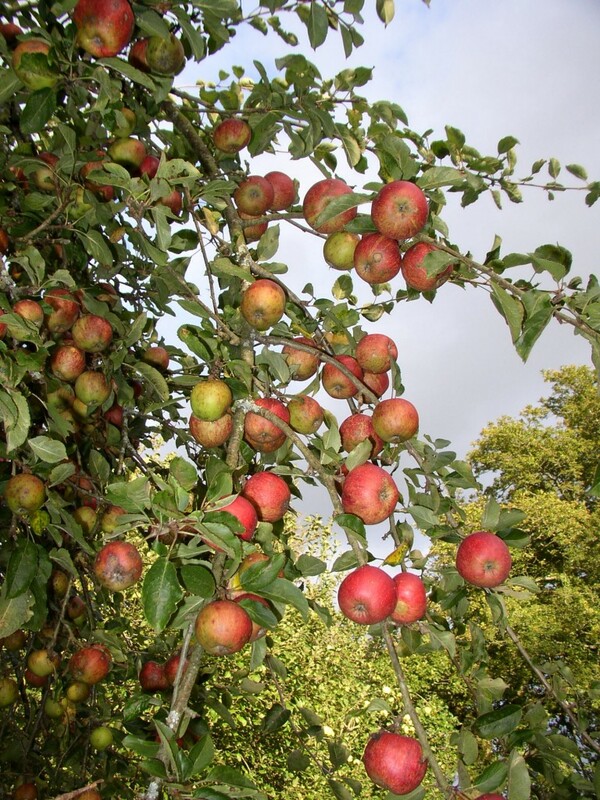 The wildlife value of traditional orchards has now been recognized and Tamar Valley AONB has been working with the Peoples Trust in Endangered Species to carry out a comprehensive survey of all of the traditional orchards in the AONB. Over the space of 6 months 7 volunteers have visited a total of 155 orchards gathering basic information. Though many orchards have gone, it is encouraging that many orchards have been replanted by enthusiastic owners. More information about the National Survey can be found on the PTES website, and all orchards which were surveyed are also shown on the Government mapping website MAGIC.